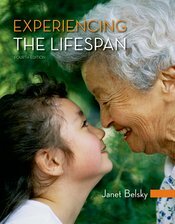 Experiencing the Lifespan boxes are written from interviews conducted by Janet Belsky, personalizing and applying the research at hand. Preview Middle-Aged Reflections on My Middle-Childhood Victimization. Intervention sections illustrate practical implications of the research discussed in the chapter. Preview Interventions: Evaluating Your Own Relationship.